MADISON, Wis. (March 24, 2015) – Kelly Moss Motorsports will stay in sunny Florida for another week as it takes its four race winning streak and heads west 104 miles from Sebring to St. Petersburg for Rounds 3 and 4 of the Pirelli World Challenge Championship (PWC) GT Cup March 27-29. The team is rolling after two consecutive wins with Colin Thompson behind the wheel in the opening rounds of the series March 6-8 at Circuit of the Americas (COTA) in Austin, Texas and two wins with Jesse Lazare in the Porsche GT3 Cup Challenge USA by Yokohama last weekend at Sebring International Raceway. Thompson, from Doylestown, Pennsylvania, completed the sweep in Rounds 1 and 2 after mastering the standing start. He will look to continue the momentum in the newly created GT Cup class. Unlike most of the PWC races, The Cadillac Grand Prix of St. Petersburg is on a street circuit rather than a permanent road course. The 1.8-mile, 14-turn course connects existing roads with one of the two landing strips of the Albert Whitted Airport. 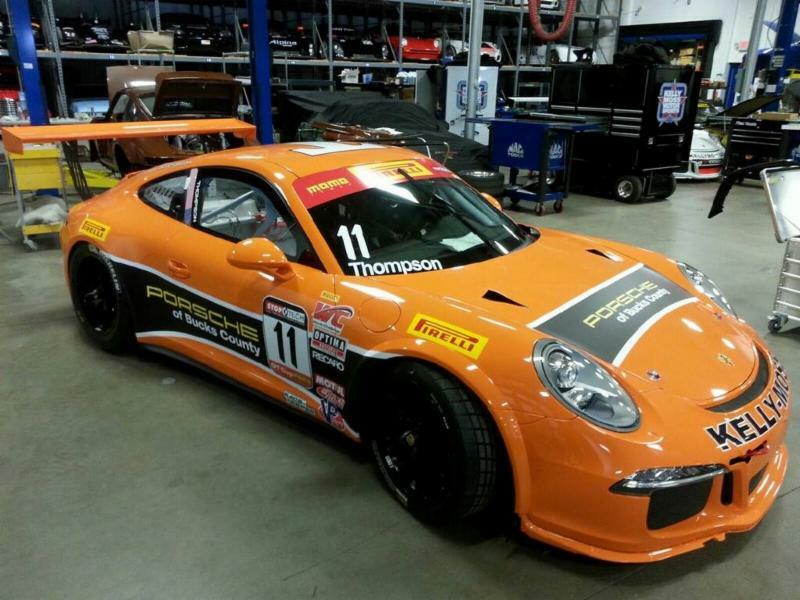 While Thompson is driving the same car as he did in the 2014 Porsche GT3 Cup Challenge USA by Yokohama Driver Championship season, he and the team continue to adapt to differences, including Pirelli tires. The partnership between Kelly Moss and TruSpeed Autosport will look to continue the dominance established at COTA. The tandem took three of the top four spots in each race. Sloan Urry and Phil Fogg Jr. will be back behind the wheel for TruSpeed. 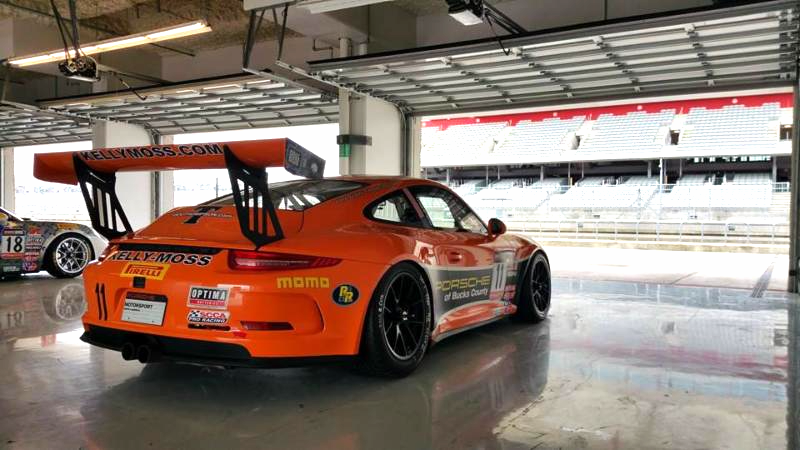 Kelly Moss is coming directly from Sebring International Raceway, where the team participated in the opening rounds of the Porsche GT3 Cup Challenge USA by Yokohama. Kelly Moss took home a total of sixpodiums, including two overall first-place finishes. Thompson participated in the GT Daytona class of the 12 Hours of Sebring with Flying Lizard Motorsports through a deal set up between Stone and Flying Lizard Owner Darren Law. GT Cup Race 1 at the Grand Prix of St. Petersburg is scheduled for 11:10 a.m. (ET) Saturday, March 28, with Race 2 at 10:45 a.m. (ET) Sunday, March 29. Both races will be live streamed on www.world-challengetv.com and will air on CBS Sports Network on Sunday, April 5. For the latest updates from the Kelly Moss shop visit www.kellymoss.com, like the team on Facebook and follow @kellymossmotors on Twitter.